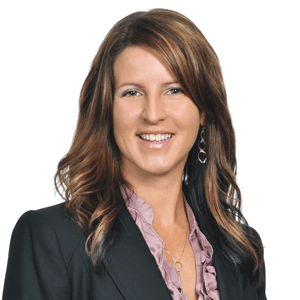 Since 2009, Kimberly Dutra has worked exclusively on vaccine injury cases for Maglio Christopher & Toale, PA, assisting hundreds of clients in seeking compensation for vaccine injuries. Mrs. Dutra is an honors graduate of Hodges University with an Associate of Science degree in Paralegal Studies. In 2012, Mrs. Dutra successfully completed the two-day Certified Paralegal examination administered by the National Association of Legal Assistants (“NALA”). Established in 1976, the Certified Paralegal examination program is a voluntary professional credentialing program developed by NALA and administered by a board composed of paralegals, members of the American Bar Association and educators active in paralegal training. Mrs. Dutra is licensed by the Florida Bar Association as a Florida Registered Paralegal, a distinction achieved by less than 6,000 Florida Paralegals. Additionally, in 2013, Mrs. Dutra successfully completed the Advanced Certified Paralegal examination in Product Liability through NALA and earned her Advanced Certified Paralegal “ACP” credential. In 2016, Mrs. Dutra successfully completed NALA’s LEAP Program. NALA’s Professional Development Committee offers the 12-month Leadership Enhancement and Preparation (LEAP) class each year to help members develop leadership skills to be used at the local, state, and national level. Prior to joining the Firm, Mrs. Dutra spent eleven years working in the Public Safety Communications Department of the Sarasota County Sheriff’s Office where she served as a supervisor, Emergency Medical Dispatch Quality Assurance Officer, and Training Officer. Mrs. Dutra was born and raised in Sarasota, Florida. When she is not working, Mrs. Dutra enjoys spending time with her family and traveling. Former Newsletter Editor for the Suncoast Chapter of the Paralegal Association of Florida, Inc. Member of the State College of Florida Paralegal Legal Assisting Advisory Board. Article published in Career Chronicle edition of “Facts & Findings” issue of NALA’s “Facts & Findings” The Paralegal Magazine. You can read the article here. Article on Vaccine Court published in May/June 2017 issue of NALA’s “Facts & Findings” The Paralegal Magazine. You can read that article here. Article on “Taking CLE Outside Your Comfort Zone” published in March/April 2018 issue of NALA’s “Facts & Findings” The Paralegal Magazine.